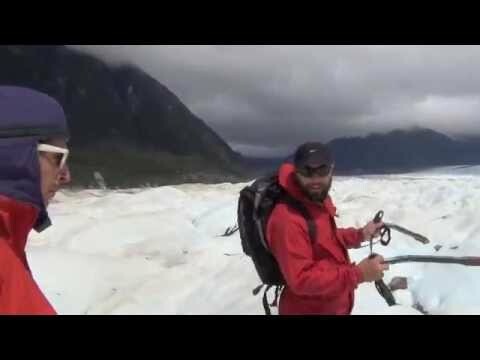 Have you ever imagined walking on a glacier? You can, on the Exploradores Glacier, in the Northern Patagonia Ice Fields. And if hiking with crampons over the glacier isn't for you, the road to Bahia Exploradores is an experience in itself, winding between impenetrable forests, hanging glaciers, and overlooks where you can view the tallest mountain in Patagonia. Activity Type: Scenic vehicle or bicycle route, with the option of walking on the Exploradores Glacier. Distance: 150 Km, to the end of the road and back. Duration: 5 hours round trip in vehicle. The glacier hike is 6 hours round-trip. Travel to the El Puesto Expediciones Refuge, by bicycle, takes approximately 3.5 hours. Special Considerations: Drive with caution on the road to Exploradores because the road is very narrow at times with loose gravel on the berms. The entire road has gentle slopes, so it’s perfect for bicycle touring; relaxing and not too strenuous. Bring snacks and clothing suitable for the excursions that you want to do. 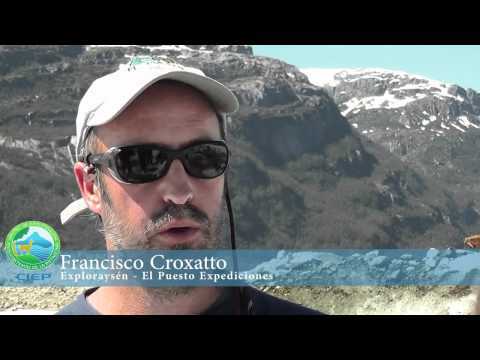 El Puesto Expediciones offers guided walks to the Glacier Exploradores year round that include technical equipment and camping options on the ice. It is not necessary to have reservations to visit the overlook. Reservations: It is best to book in advance. Reservations are required during the winter season. Valle Leones – The Outdoor Experience – Puerto Río Tranquilo: Carretera Austral s/n; (09) 77031622; www.valleleones.cl. This fantastic 75 kilometer route won’t disappoint you, beginning to end. The route starts in Puerto Tranquilo, a small village located on the western shore of Lago General Carrera. If you are coming from the north on the Carretera Austral, you will take Route X-728, on the right, just before crossing the bridge that leads you into town. Continue down this tiny road, heading west, towards the Pacific Ocean. This road will lead you to the Exploradores Bay, through sections that border the Tranquilo and Bayo Lakes, and the northern boundaries of the Northern Patagonia Ice Fields. One of the first things you’ll notice is how the scenery changes from shrubs and meadows near General Carrera Lake to landscapes increasingly green and lush. Soon you’re in the middle of impenetrable forests of huge coigües, mañios, canelos, and cypress of the Guaitecas, in the constant company of giant nalcas, ferns, waterfalls and glacier peaked mountains. One of the most spectacular waterfalls is La Nutria, with crystalline waters falling at least 30 m in height. You’ll encounter it on the left hand side in kilometer 23; it’s a perfect place to stop and observe the micro plant world of fungi and lichens which thrive in this damp environment. The colors and textures are extraordinary, so don’t forget to pull out your macro lens! As you continue, the forest begins to envelop the road and the mountains jet up from all sides, immersing you in their ancient peaks. After approximately 51 km, you’ll come to the Deshielo River, which descends from the Exploradores Glacier. In another kilometer, you’ll come to the El Puesto Expediciones Refuge, where you’ll leave your car, register and choose between your options for seeing the glacier. Your first option is a short, but steep, 25 minute hike that leads to an observation deck where you’ll have a tremendous view of the Exploradores Glacier. You’ll notice that this glacier is different from many; it doesn’t descend to the sea, nor does it give rise to a great lake or lagoon. It is a breathtaking landscape of ice, rocks, and small creeks and crevasses that form part of the mass of the Northern Patagonia Ice Fields. On a clear day, you’ll also have a majestic view of Mount San Valentin, the highest peak in Patagonia (4,058 m). Your second option is to take a six-hour guided hike out onto the glacier. There are several regional guides working in the Exploradores area and each one has their own version of the tour, depending on their experience and knowledge of the area. Here we share our experience with the guides of El Puesto Expediciones (www.elpuesto.cl), a regional company with more than 15 years of experience offering guided trekking expeditions on the glacier. After a short safety talk, your guides will help you get settled with the equipment you’ll need to walk on the ice, and your adventure on the glacier will begin. Your first obstacle is the glacial moraine, a valley full of large rocks and loose stones that have been left from the advancement and regression of this giant mass of ice. After conquering the moraine, you’ll begin to walk on clean ice, a sign that it is time to put on your crampons! If you’ve never hiked with crampons before it can be a little awkward at first, but your guides will teach you the techniques and you’ll soon be on your way. As you walk, you will encounter a totally irregular surface, full of mounds, cracks, small streams and enormous sinks, which are deep holes that can reach all the way to the base of the glacier. On the ice everything becomes magical: the landscape, the colors, the sculpted glacial forms, even the sound of the crampons breaking the ice. And if you want even more adventure, you have the option of camping on the glacier, which will afford you more time in the ice, allowing you to try out ice climbing, one of the most unforgettable experiences that Patagonia can deliver. After your hike you can continue along the road that travels to Exploradores Bay. In this sector, the gravel road is raised to pass through marshlands and no more than a narrow strip of land separates you from the incredible natural surroundings. The forests become more lush and virgin, filled with giant Cypress of the Guaitecas and other endemic species like nalca and mosses and ferns and lichens, which combine to produce a million tones of green. If you stop and take a brief walk along the road, or simply open your windows, you will be able to hear the exotic sounds of frogs and birds that inhabit this zone. With each kilometer you drive, the sensation of being in a Jurassic Park strengthens until you feel like a dinosaur could walk right out in front of you at any moment. As you approach km 75, you’ll see several signs letting you know that the road ends. For now, the route ends at the Exploradores River where a bridge must be built to connect the finished sections on the other side that go to the Bay. Eventually this road will provide access to the Pacific Ocean and one of the most famous natural wonders of the Aysén Region: Laguna San Rafael, a beautiful glacier that is famous for having an enormous amount of icebergs calving off its walls and floating throughout the bay. Although the road is not finished yet, you can still see this impressive display of ice, water and marine life. Both Destino Patagonia (www.destinopatagonia.cl) and Turismo Río Exploradores - EMTREX, (www.browsers-sanrafael.cl), offer trips that leave from the parking area at the end of the road, transporting passengers across the river, and then via boat on a 2.5 hour trip through the fjords and untouched landscapes until you reach the San Rafael Glacier and Lagoon. It’s an expedition that will leave you feeling like a true explorer! Take a moment to notice the family cemeteries along the route through the Exploradores Valley. One of the most picturesque and colorful is the Berrocal Family Cemetery, whose tiny houses made of tejuelas wooden tiles can be seen along the left side of the road, 1.5 km from Puerto Tranquilo. If you want to stay in the Exploradores Valley, a surreal experience awaits at the Campo Alacaluf Complejo Turístico (Km 44; www.campoalacaluf.com; campoalacaluf@yahoo.de). The owners, Katrin and Thomas emigrated to Aysén from Germany after falling in love with these landscapes. They have carved out a life here in the middle of the Exploradores Valley and enjoy sharing their love for nature with visitors. Their charming farmhouse and rural lodge have a capacity for nine people with options for private or shared bathrooms. The Nature Sanctuary of Marble Caverns is one of the most fascinating and unique geological spectacles of Patagonia. For thousands of years, nature has carved out a series of cavities, caves and grottos on the marble outcroppings that border the northwestern sector of General Carrera Lake, creating shapes, textures and colors that will you keep you in awe all day long.